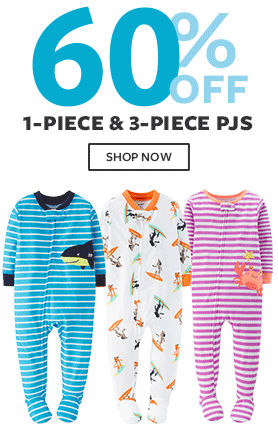 Home > Clothing Deals > Carter’s Coupons: 60% off Carters PJ’s + Free Shipping! 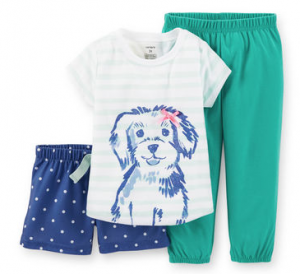 Carter’s Coupons: 60% off Carters PJ’s + Free Shipping! I have a small Carter’s PJ fetish. They are so cute and make me feel like my kids aren’t growing up too fast (which they totally are). 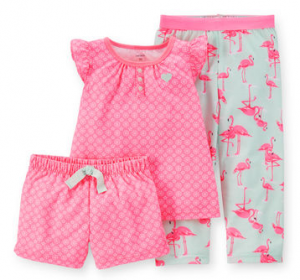 Today only you can get Carter’s PJ’s 60% off plus free shipping on any order! They are running a few other sales too, like tees and shorts for $6… but I’m stuck in PJ land. I wish my PJ’s were this cute. You can also get 2.5% cash back when go through Ebates first.